Why are so many people across the world so intrigued with Maggie Austin? That question may sound a little staged, but it isn�t. There are a lot of people tuning into Maggie in different cities all over the world! She�s on the radio in England, Holland, New Zealand, Australia, Belgium, Yugoslavia, and France (where she was a Featured Artist of the week). Recently, a culture focused web site in Germany asked her if they could publish a review about her. How many new artists do you know that have reviewers chasing them rather than the other way around? The answer, of course, is not many. Maggie is generating an exceptional buzz on an international scale. It gets better. 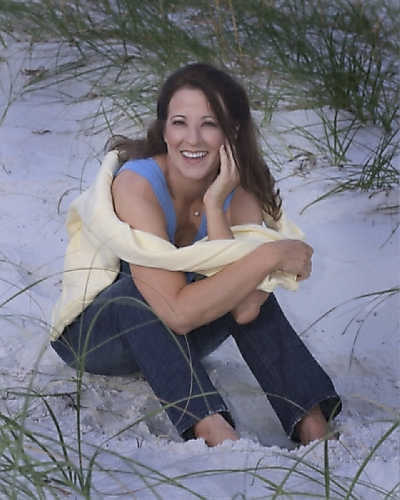 Maggie Austin�s down-to-earth cover of the Grammy award-winning song, Breathe, held the #1 position on the country music charts when MP3.com was in full swing. But that�s only the tip of the iceberg. On SoundClick.com, her original track, Kiss Me, was a Top 10 hit for over two months. Breathe did an impressive job on SoundClick, as well, holding the #1 spot for weeks. Her medium-tempo, hip-swaying track, Time and Again, also went #1. Anyone noticing a pattern here? Another of her tracks, Touchdown, went #1 in only four days flat! Maggie has never had a song top at anything less than the #2 slot on any chart she�s competed on. There is no denying Maggie Austin�s momentum. The global demand for her music is beyond contention. Reviews of Maggie Austin�s single "Taking Time"